Pancras van der Laan and Bob Fink and ConnCorki heading down the Connecticut. Just as ConnCorki was being ready for launch a group of teens went for a swim. 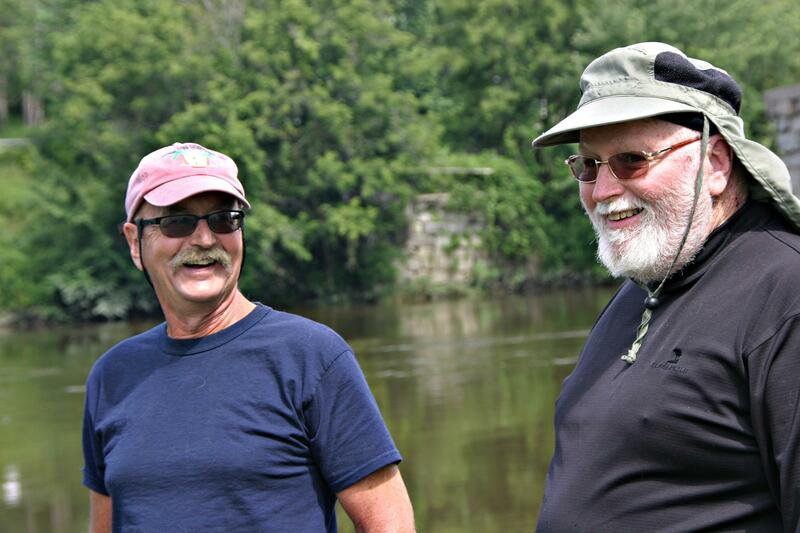 Van der Laan, left, and Bob Fink, both of Lancaster. Most of the corks came from a wine-tasting room at the Cheers bar in Boston, although Van der Laan says some patients contributed and he was added a few. 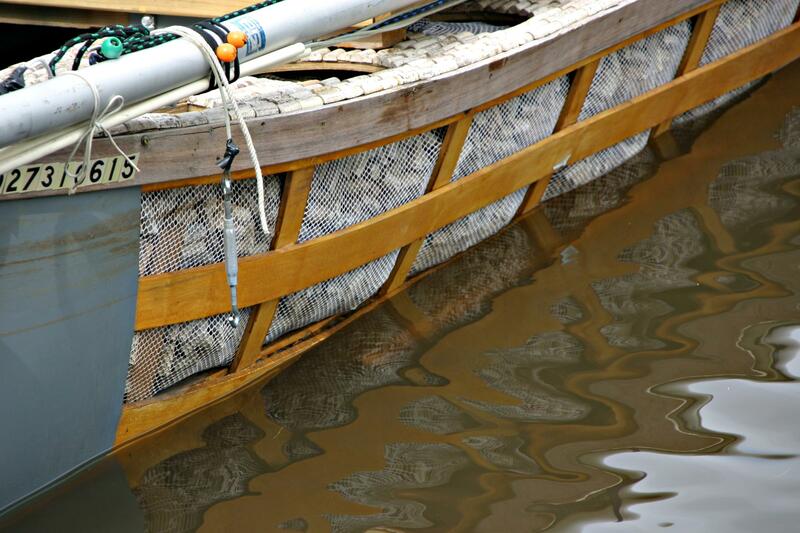 One-quarter inch mesh netting holds about 65,000 corks, according to Van der Laan's estimate. 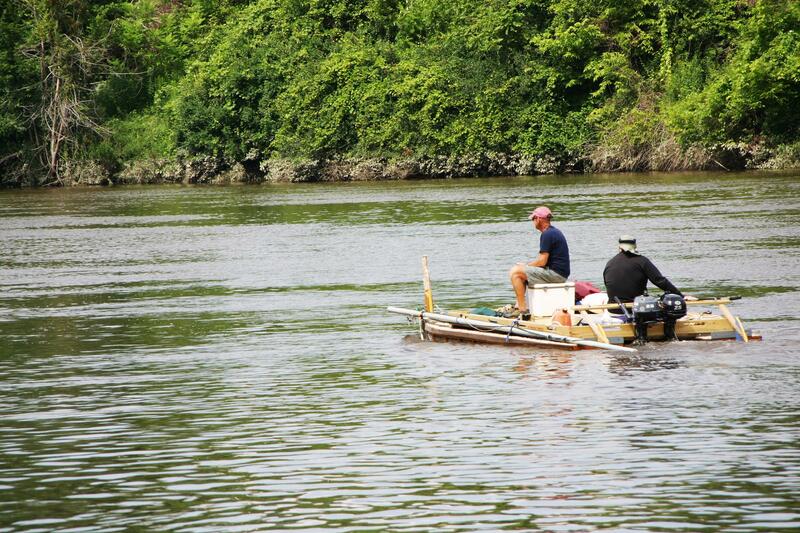 "A Tom Sawyer, Huck Finn crew going down the river," says Van der Laan. When it comes to what floats your boat there are many possibilities. For a retired North Country doctor it is literally corks. 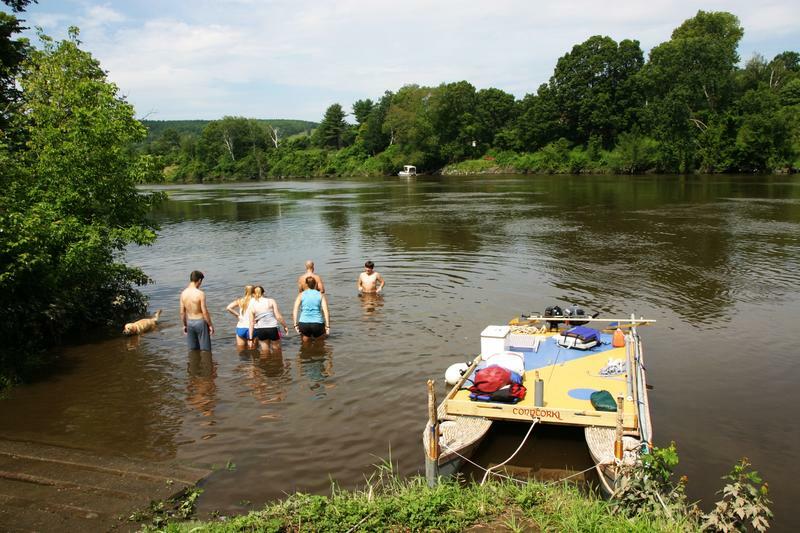 About 65,000 wine corks are keeping his home-built catamaran afloat on the Connecticut River and on a recent morning at the Bedell State Park near Haverhill a group of teenagers was transfixed when they saw it in the water. “Look at that guys, the boat is made out of wine corks!" "You drank all the wine yourself, right?" Pancras van der Laan estimates 65,000 wine corks are located in the netting that keeps the ConnCorki afloat. The catamaran isn’t made entirely of corks. But the corks do fill two hulls and keep it afloat, says the boat’s builder, Pancras van der Laan. Over the winter he worked on it with friends in his barn in Lancaster. “We started with a long board at the bottom and we built some triangular pieces of plywood which we glued together and then steam bent these ask ribs. The boat is seven feet wide. Sixteen feet long. 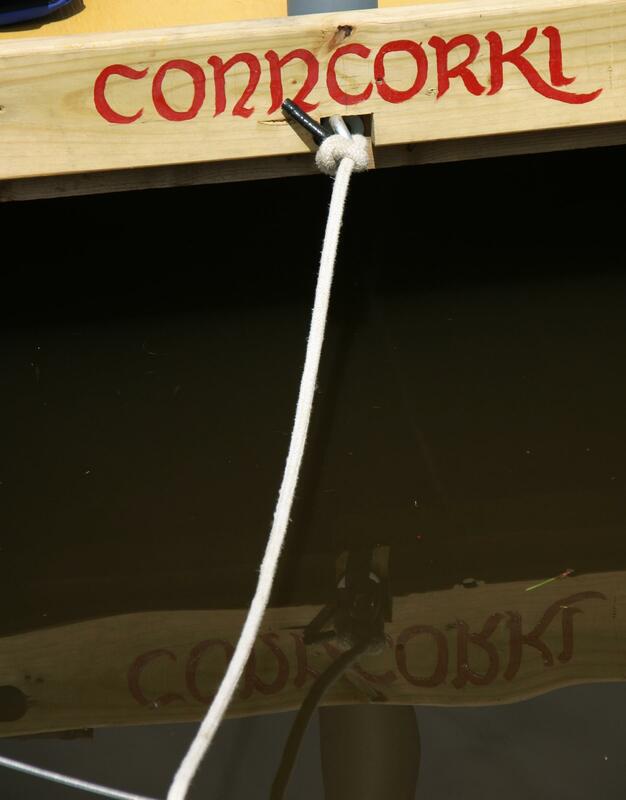 The catamaran is named ConnCorki because of the river and the corks. And, there a bit of an homage to Kon-Tiki the balsa wood raft a Norwegian adventurer used to cross the Pacific in 1947. Van der Laan says he got the idea years ago. Some testing was done in the First Connecticut Lake in Pittsburg. Most of the corks came from a wine tasting room at Cheers in Boston but Van der Laan said some patients contributed and he helped, too. Nevertheless Van der Laan and fellow sailor Bob Fink, who helped build the catamaran, are heading off. For that day the goal was Wilder on the Vermont side where there is an easy take out.